It Was A Stitch! | NJNA is Blogging! Carol and I arrived back from Mexico last night. We had such an awesome week — relaxing, productive, delicious, and fun! 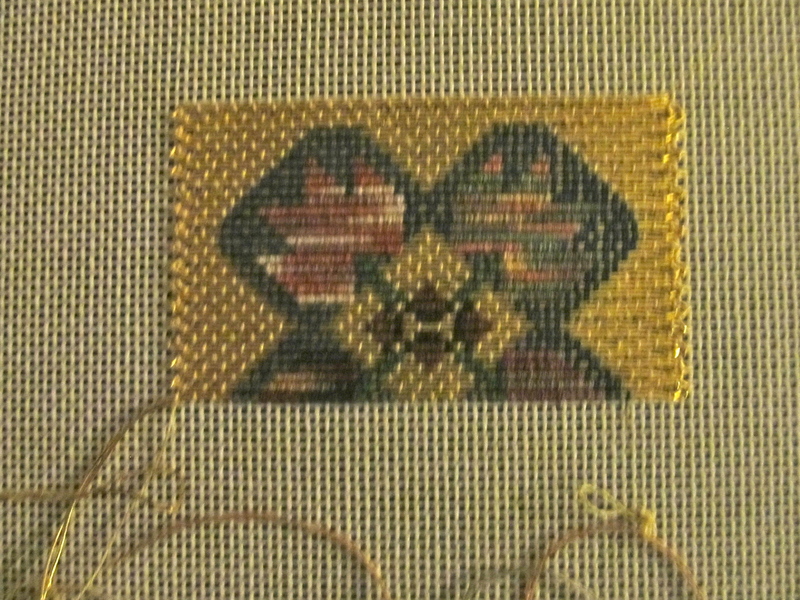 We ended our “retreat” with more stitching done than when we started! 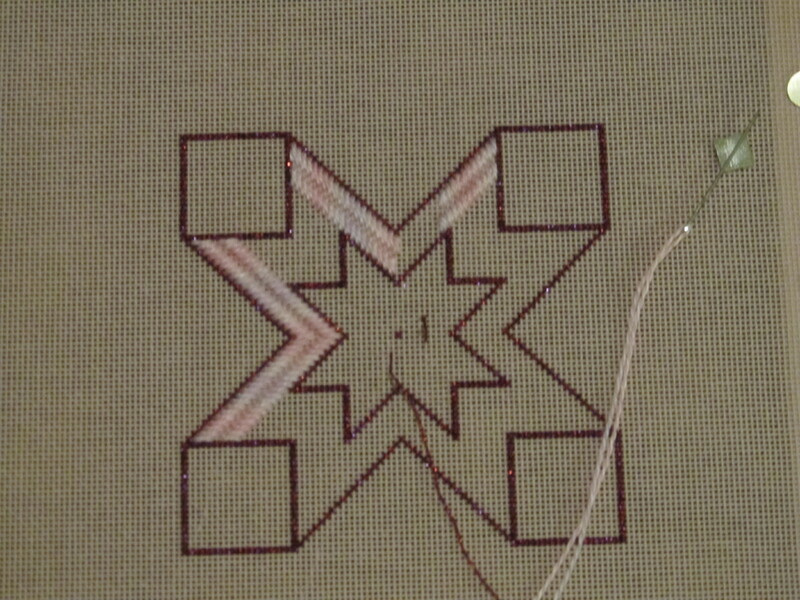 Carol was able to start on the interior of her St. Margaret’s Star. So, I’ll be visiting Mrs. Stitches sometime this week! I think this is a nice piece for teaching — but I’ll try to have some alternatives as well. The technique is pretty easy and I can think of a number of places where it would be dynamite! We went back to the Italian restaurant at the resort just so that we could share the artful presentation of the food. 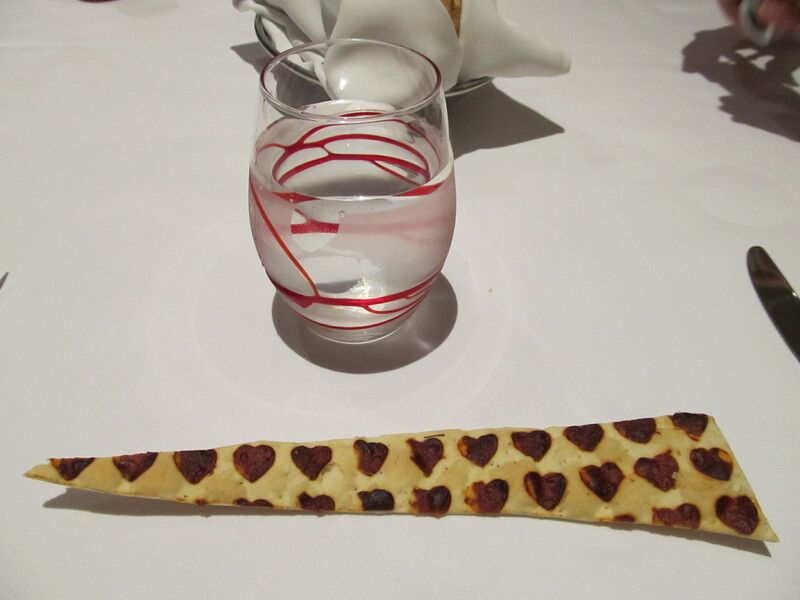 The flat bread had little Parmesan hearts baked into it! 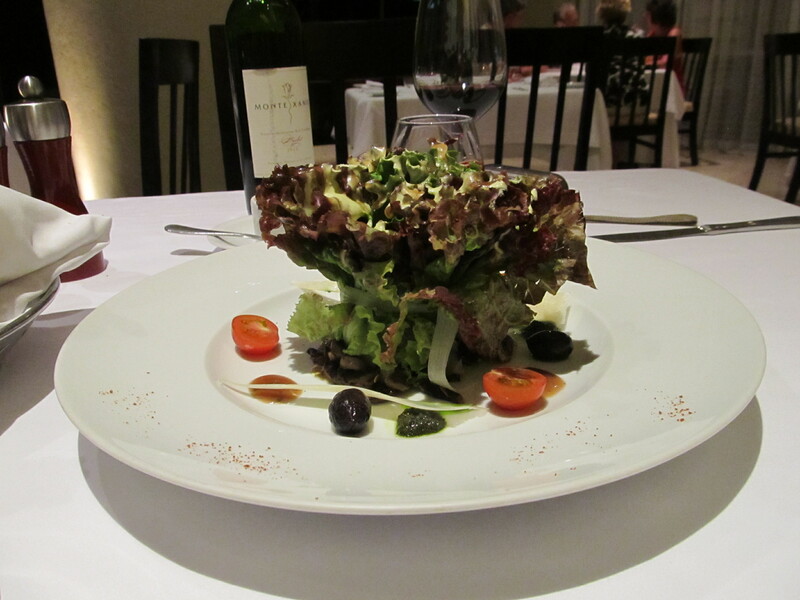 The salad was tied (with an artichoke ribbon) and standing up on the plate. The dressing was sprinkled on top and the olives, cheeses and tomatoes were around the outside! Beautiful! 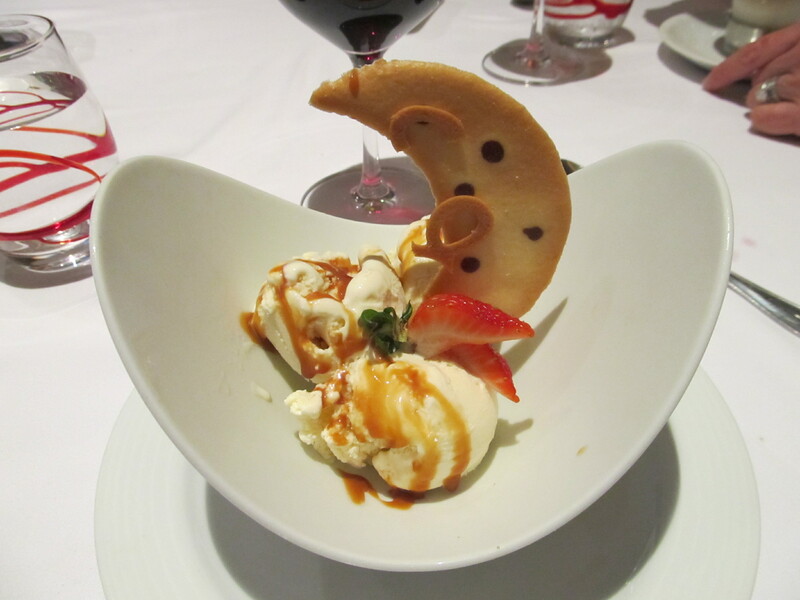 Ice Cream with Crescent Moon Cookie! 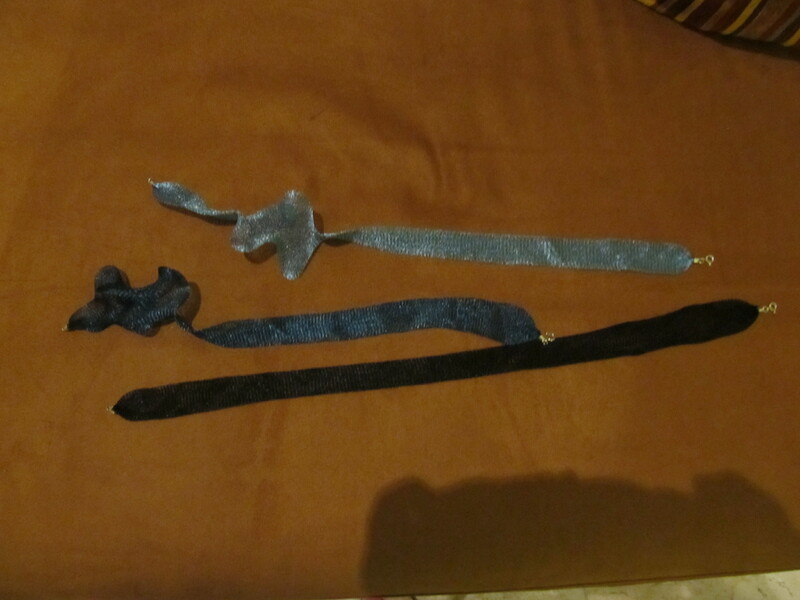 We also made the most unusual find at one of the shops — titanium necklaces! You can spread them or mold them into different configurations — truly unique and fashionable! Titanium Necklaces with a few ruffles to demonstrate how they work! Cool! What a great way to escape the everyday world. The food presentation was great to see, what imagination. Looks like you both got some stitching done as well.